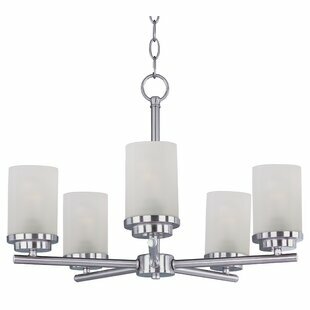 This 6-Light Shaded Chandelier is classic in design. 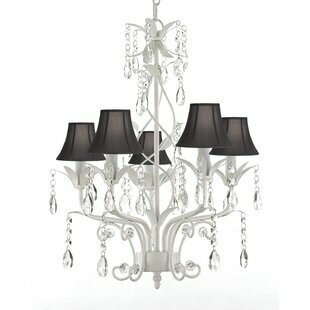 It has tubular arms, center column and rods. 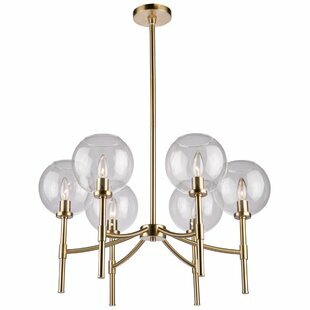 The glassware is clear and round. 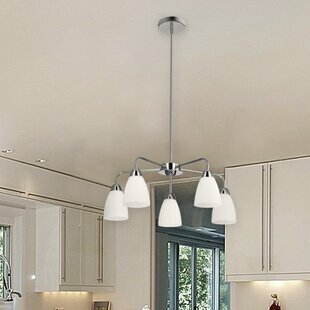 Comes with a hang straight for sloped ceilings and extra rods for desired height. 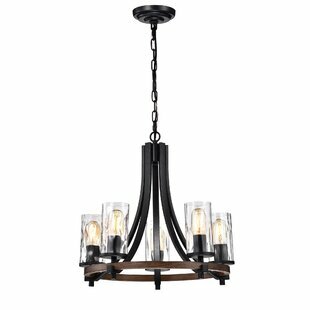 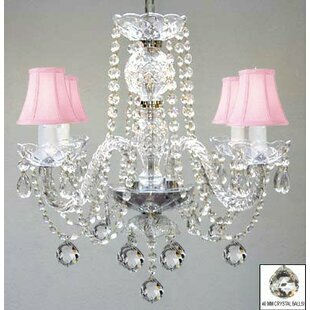 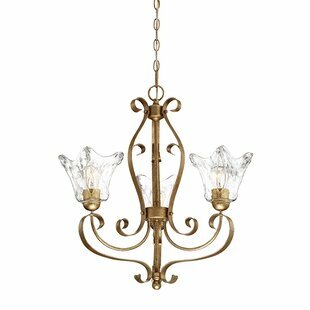 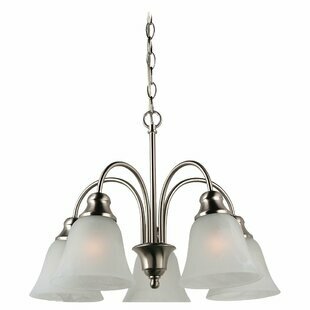 Number of Lights: 6 Fixture Design: Shaded Chandelier Adjustable Hanging Length: Yes Fixture: 15 H x 29 W x 29 D Overall Weight: 2lb.